Top Home Appliance Repair is professional major home appliance repair company. We perform refrigerator repair, washer repair, dryer repair, dishwasher repair, stove and range repair, oven repair, steam oven repair, microwave repair, freezer repair, ice maker repair, barbecue repair, pizza oven repair, patio heater repair and many other appliance repair services. We serve both residential and commercial appliances owners. Our service area includes Oakland and surrounding East Bay area as well as Novato, Redding and Marin County. Our family owned and operated company has been in business for many years. We have in-depth knowledge of all brands and models of kitchen and home appliances. Our licensed technicians are all factory trained and certified to fix Asko, Bertazonni, Bosch, Dacor, DCS, Electrolux, Fisher&Paykel, Frigidaire, GE, Jenn-Air, KitchenAid, La Cornue, LG, Liebherr, Marvel, Miele, Perlick, Samsung, Siemens, Sub-Zero, Thermador, Traulsen, True, Viking, Whirlpool and Wolf. We specialize in European kitchen equipment and high-end brands. We also know all the commercial kitchen equipment very well. There is not a brand that we do not know and that we can not fix. Rest assured that after a repair appointment with us, your appliance will work great. What can you expect from Top Home Appliance Repair? Top Home Appliance Repair values our customers. Excellent customer service is part of our companies philosophy. With us, you will get fast and reliable service that is going to impress you. Just one call to us and we will give you an accurate quote and make an appointment right away. 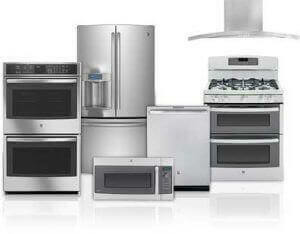 Our appliance repair specialist will be at your home or business on time. He will carry all the necessary parts with him. So, most likely you will not need another appointment. He will be polite and helpful and answer all of your questions. Also, our appliance repair technician will share with you maintenance tips to keep your appliance in working order as long as possible. Why pick Top Home Appliance Repair to do your appliance repair? With Top Home Appliance Repair you can not go wrong. We have a combination of many years of experience, certification for all the major brands and outstanding customer service. All those things make us the best choice for all your kitchen appliance repair needs. Also, we try to keep our prices very reasonable. Fixing an appliance is much cheaper than buying a new one. Whether you need refrigerator repair, washer and dryer repair, BBQ repair or anything else, we will try to make your experience convenient, fast and easy for you. In the past, a lot of people tried to repair their appliances themselves. But modern technology is getting more and more complicated. This is not your grandmother’s stove or dishwasher. You need an expert to understand all the electronics and parts that go inside your average refrigerator or stove. That is why we do not recommend you to try any repairs on your own. You could damage your appliance making it more expensive to fix in the long run. Instead, call us, and we will fix your appliance professionally. For professional appliance repair in Oakland and East Bay please call us at 925-265-7782. For professional appliance repair in Novato, Redding and the rest of Marin County please call us 628-214-0064. Or you can fill out our short contact form. We would love to talk to you and answer all of your questions.